Congratulations to tour winner Linda H. and to host winners Bookaholic and Let Me Tell You a Story. 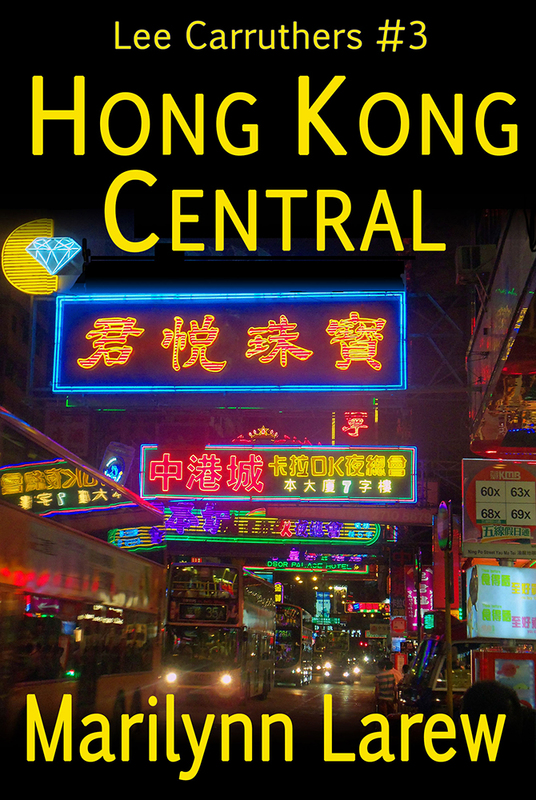 Goddess Fish Promotions is organizing a Virtual REVIEW ONLY Tour for Hong Kong Central by Marrilynn Larew, a 379 page thriller available now. The tour will run every Thursday for 4 weeks starting on August 16, and the book is available in PDF, mobi and ePub formats. Marrilynn Larew will be awarding a $10 Amazon/BN GC to a randomly drawn winner via rafflecopter during the tour, and a $20 Amazon/BN GC to a randomly drawn host. Additionally, Goddess Fish Productions will be awarding a $5 Amazon GC to a randomly drawn host. Despite the fact that she quit the CIA, Lee Carruthers is in Hong Kong doing a little job for Sidney Worthington. He’s thinks something is wrong at Wong’s Antiques. Lee finds Henry Wong—just as he’s being kidnapped by the Chau Fong Triad. What does a Triad want with an antiquities dealer? That’s one of many questions, as Lee reunites with an old lover, is caught in the middle of burgeoning democracy demonstrations, and uncovers secrets that may once again upend her life.